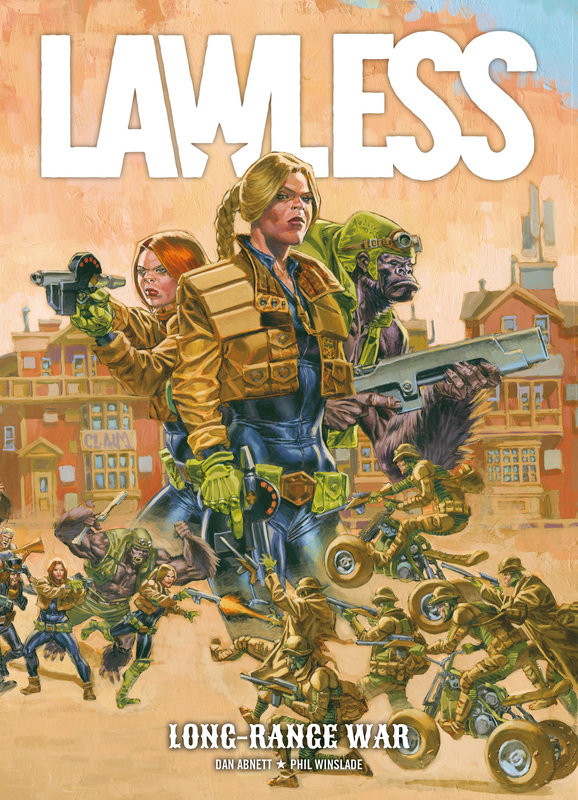 With Solo hitting screens soon, Lawless is ideal for your list of ‘sci-fi Westerns’ comics readers should check out. Neatly subverting and inverting the traditional Western and combining it with the world of Judge Dredd, NYT bestseller Dan Abnett and critically-acclaimed artist Phil Winslade’s series from the Judge Dredd Megazine is a story for the ages – with a question mark hanging over her true identity, Marshal Meta Lawson tries to keep the law on a frontier planet while beset by small town politics, exploitative corporations, and deadly confrontations. Aided by a rag-tag band of allies, Lawson is another brilliant creation by Abnett while three-dimensional and strongly feminist lead characters explore big themes in an action-packed narrative lifted and enhanced by Winslade’s brilliant B&W artwork. Book two of Dan Abnett’s and Phil Winslade’s sci-fi Western epic! Since Colonial Marshal Metta Lawless unveiled their plans, the merciless hypercorp now consider Badrock a liability and are preparing to quietly wipe the frontier town and all its residents off the map! Unfortunately the residents in question are an uncooperative and pugnacious group of Muties, Meks, Humans and Uplifted Gorillas who have just been permanently removed from Munce Inc.’s employee roster; getting them to work together for survival will be no easy task! Metta and her disparate band of peace-keepers must get the locals to put aside their differences and fight against the corporate threat, before they lose more than just their jobs!